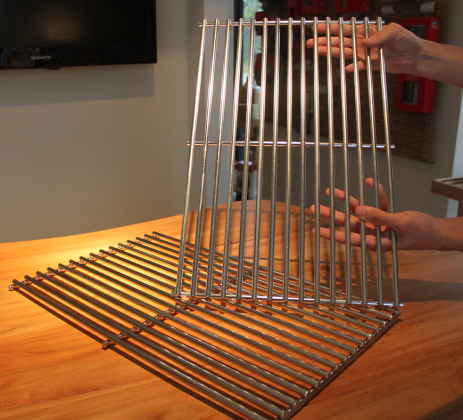 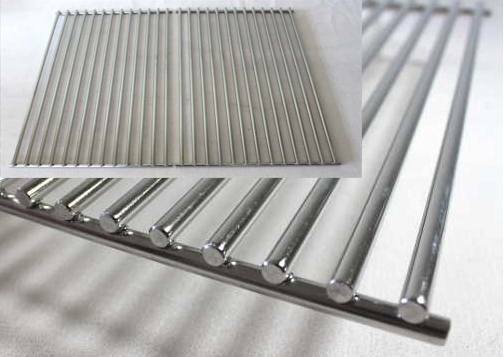 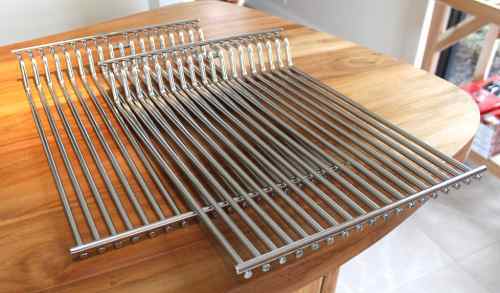 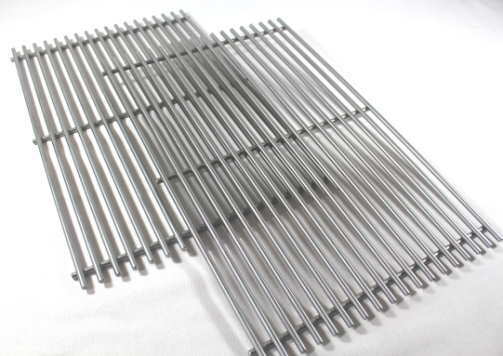 Considered by many to be the jewel in the cooking grid crown, quality stainless rod grates bring a lot to the party. 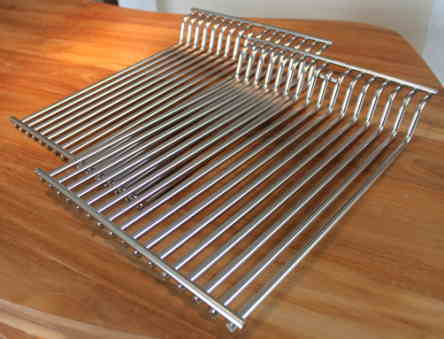 These are often found as original equipment on premium grills & are typically the most expensive replacement grate. 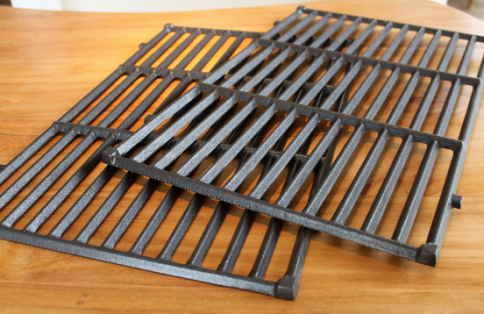 If properly cared for, these grates will last a lifetime. 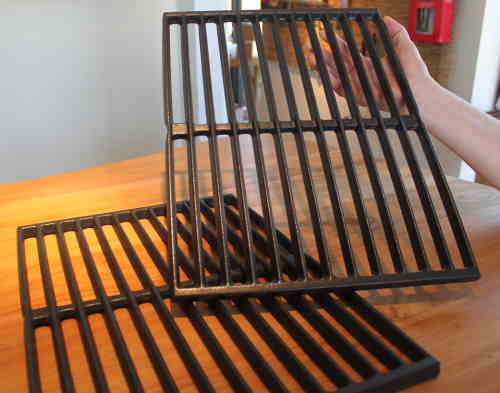 Cast iron cooking grates are also known for their searing power & are the choice of many grilling purists. 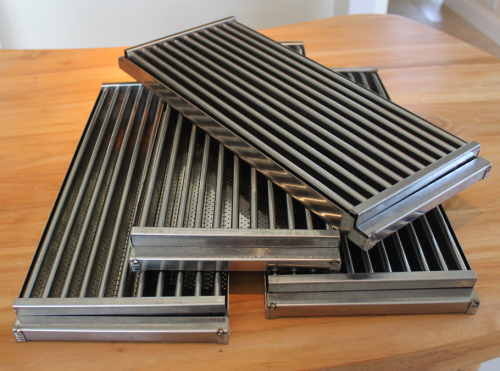 These grates will deliver years of sizzle when properly maintained, and some come with a porcelain coating to sidestep the seasoning process and reduce maintenance. 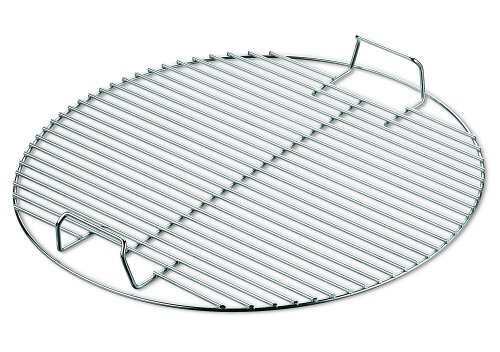 These popular grates heat up quickly and are found on a wide variety of grills. 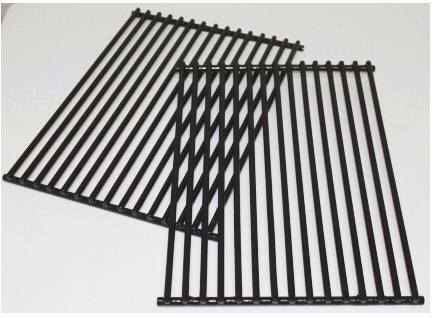 Many grillers prefer to sacrifice the heat retention of heavier grates for the faster warm-up and heat recovery offered by these lighter grids. 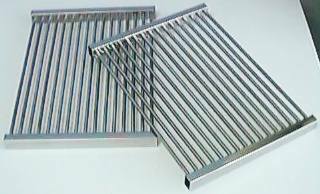 Porcelain coated steel is often the most economical of the different grate options. 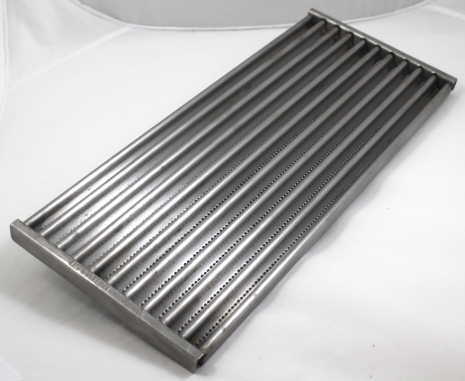 These grates offer a unique combination of the durability & performance of stainless with the fast heating time of a lighter grate. 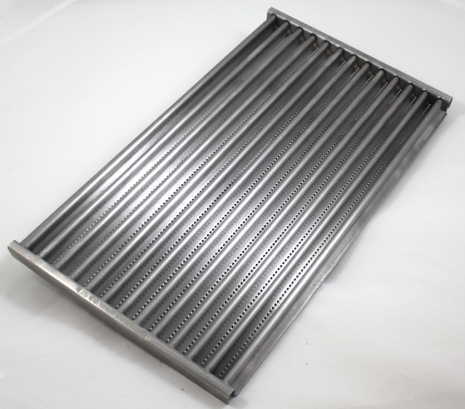 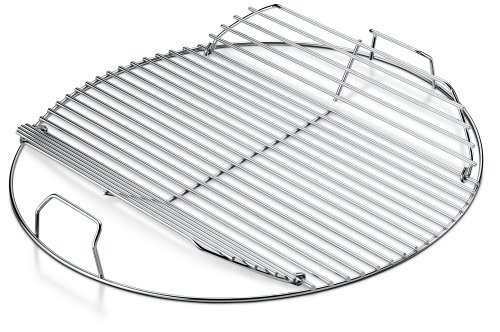 Most Char-Broil Infrared models use a grate that is slotted and stamped stainless over an emitter tray, and there are stainless plate options for most Weber grills, as well. 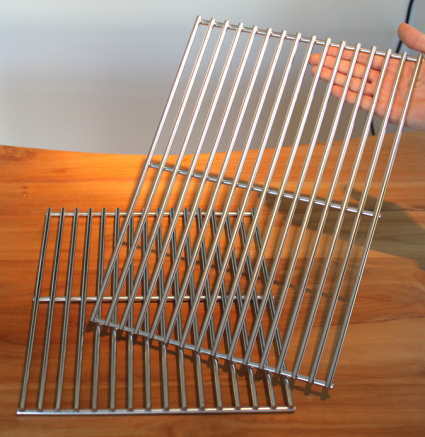 The list below is ordered smallest to largest based on grate length from front to back. 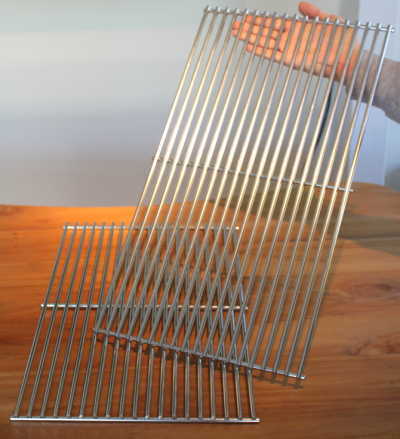 The second measurement is the width.